Allergies can really be frustrating because you may not know when you will have an allergy attack. Likewise, there are times that your movement and diets are very limited due to some restrictions to avoid the things and foods that trigger your allergies. Taking antihistamine tablets are the first thing allergic patients are the first line of defence though other steroidal medications are required in severe cases. However, the good thing now is that you don’t have to rely on antihistamine alone for treatment. There are some alternative treatments for allergy which can really improve your condition. Recent studies show that acupuncture may actually provide allergy relief. Patients who had acupuncture had less use of antihistamine compared with the other group who never had acupuncture. Aside from less use of antihistamine, latest study also hints that acupuncture can reduce itchy eyes and sneezing that are associated with allergy. However, for your safety, only visit acupuncture centers that are legal and accredited. Allergies indicate a defective immune system. In homeopathy, the body’s immune system is checked and strengthened to make sure that the body can heal itself. Homeopathic treatments are given on the basis of emotional, physical and genetic make up of a person. This kind of treatment can lessen the risk of allergy attack and may also prevent the relapse of a condition. Example of homeopathic treatments for allergy include the use of Sabadilla, Poison Nut, Bittersweet and Black Mustard. A combination of foods, vitamins, herbal diet supplements and non-herbal supplements are used in this kind of therapy. The main goal of biological based therapies is to promote wellness and to lessen the risk of allergy attack. Neutralization therapy is also known as tolerance therapy. In this treatment, some doses of the substance that you are allergic are placed under the tongue or injected in the upper arm. The main goal of neutralization therapy is to eliminate any provoked reaction immediately after it occurs. Likewise, it will also determine the right amount of injection which can be regularly given to prevent an allergic reaction in the future. If you notice an allergic reaction, after eating certain kind of food, you may be suffering from food allergy. If you are not sure what causes your allergy, it is best that you have a detox diet. Allergy detox diet can identify food allergic reactions. However, before you start any detox diet, it is important that you discuss it first with your doctor. A detox diet may require you to take water and fluids only. If you have an underlying disease, a detox diet may not be a good option for you. Enzyme potentiated therapy or EPD is used in any type of allergy. To administer EPD, an injection of 0.05ml is injected in the skin to form a small blister. This kind of therapy is often recommended after skin prick test and IgE test. The main goal of EPD is to reduce contact with common allergens. However, patients who will undergo Enzyme potentiated therapy should limit exposure to perfumes, pets and other chemicals that may affect the strength of the therapy. 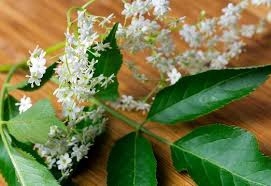 Herbal medicine uses plants and plant extracts to treat allergy. 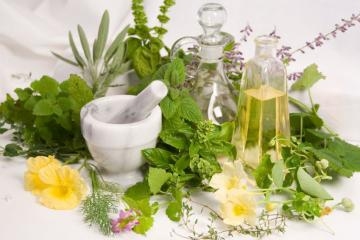 Some herbalists recommend single herbs or combinations of different herbs in treating allergy. Some of herbs that can be used in treating allergy are garlic, peppermint, chamomile, St. John’s Wort and Gingko Biloba. But before you start any herbal medicine, you have to tell your doctor especially if you have any existing medical condition. Some herbs may affect the effectiveness of your oral medications. Vitamins are great for the body however, some people tend to take a higher dose of vitamins just to treat allergy. Experts warn people that they don’t have to take vitamins and supplements in higher form to protect them in allergy attacks. Remember, taking the higher dose of vitamin A may lead to vitamin A poisoning if you take large amounts of vitamin A. Likewise, some individuals may also suffer from hyperacidity if they take more than the recommended dose of vitamin C supplements. Some people believed that autogenous urine therapy can be helpful however, the use of urine is not a good option. Urine therapy can be dangerous for your health. Protein that is taken from the urine and injected on the surface of the skin can harm your kidneys. Consult first with your doctor before you start any alternative treatments to allergy. Some of these treatments may or may not be effective for your condition. Server responsed at: 04/20/2019 10:41 p.m.